Yes, craziness has begun! Last Friday, Mobile World Congress has opened doors for badge collection and “la Fira” is beginning to become live. The city is full of visitors who conveniently planned their trip to enjoy Barcelona before the congress. If you are part of this selected travelers group and this is your first time in the city, don’t worry. We will help you getting oriented. Plaza Catalunya is the central point of the city, to the south of which you can find the old town and most of the museums and other places of historical interest. The famous Las Ramblas stretches from Plaza Catalunya to Columbus Monument. Once here, you will have Passeig Marítim on the seafront to the east. 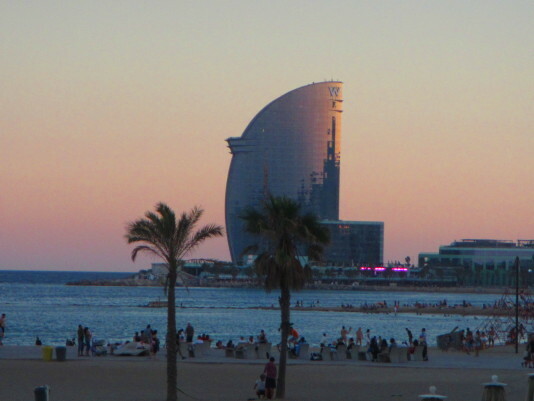 Then Port Vell to the colorful Barceloneta beach and Port Olímpic. To the west, following Avinguda Paral-lel you will get to Plaza Espanya at the foot of Montjuic hill with its impressive Magic Fountaine and Fira Montjuïc Congress Center. You might keep in mind that this year the MWC will have two halls here. The northern limit, Tibidabo hills, is a must. You will enjoy spectacular views over the city and the night skyline will leave you wordless. Enjoy your congress and welcome to Barcelona! ← Barcelona is On FIRE!